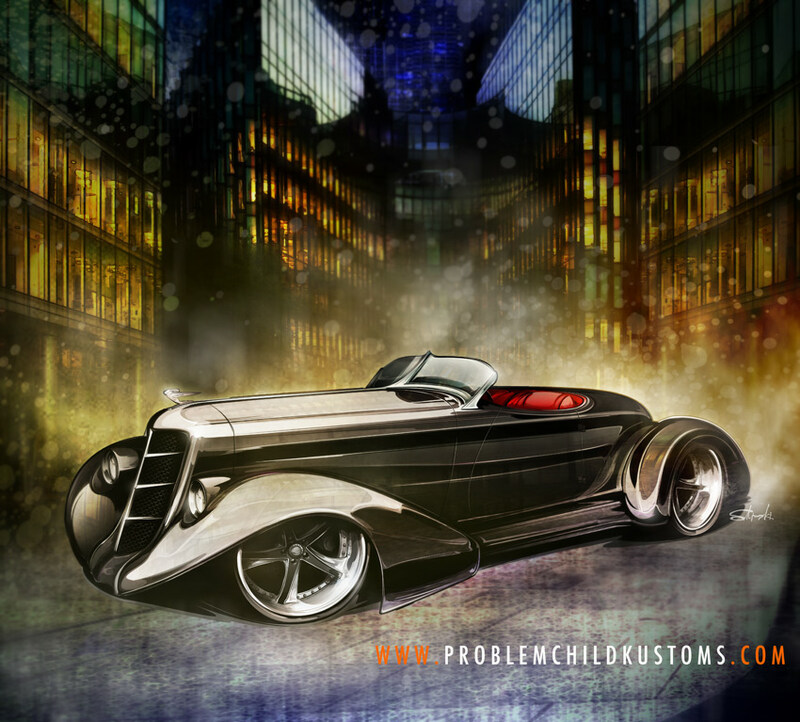 A rendering of a customized sports roadster at night in an urban setting. Updating an older piece with some modern wheels and light custom touches... Walking the like between aggression and luxury.